BASTION numbers around 400 monsters. 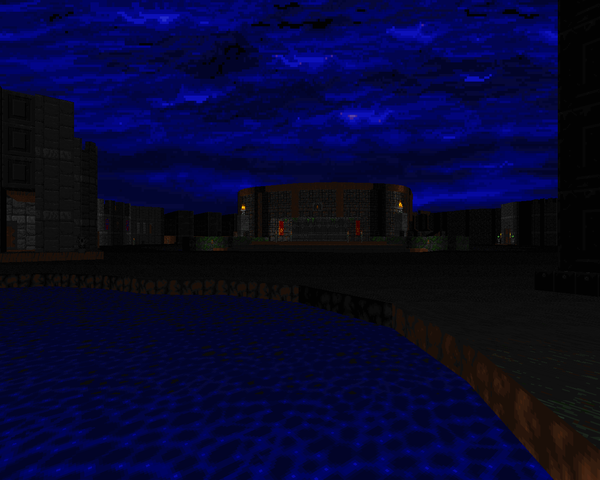 It's a pretty big map, similar in scope to E3M7 of Call of the Apostate, except a bit less hectic. It's also more straightforward. You'll see every weapon (though the firemace is hidden in a secret) and see every enemy Heretic has to offer, usually in a big way. The big hook of the Bastion comes in the second half of the level, when you must navigate four different gauntlets, each "themed" after the riders of the apocalypse – Pestilence, Famine, War and Death. Each wing has a nominal puzzle-solving element to it, the solution hinted at by checking a prominent monument in the same locale. One of my favorite differences between this and APOSTATE is the shift away from homogeneous monster packs toward more vibrant selections from Heretic's palette. There are still a few hordes to beat back (mainly sabreclaws) but you're usually free from circle-strafing armies and holding back Disciples at choke points. One of the more troublesome encounters has nitrogolems in the rafters, several undead blocking the exit, saberclaws on the ground, and a healthy number of gargoyles running interference. The star attraction of the War gauntlet is about the closest this map gets to Heretic Revealed, pitting you between four maulotaurs and a seething mass of D'sparil's worst offerings. It's kind of tricky to get things going but with a little infighting you'll be solid. The Bastion itself is pretty cool looking. 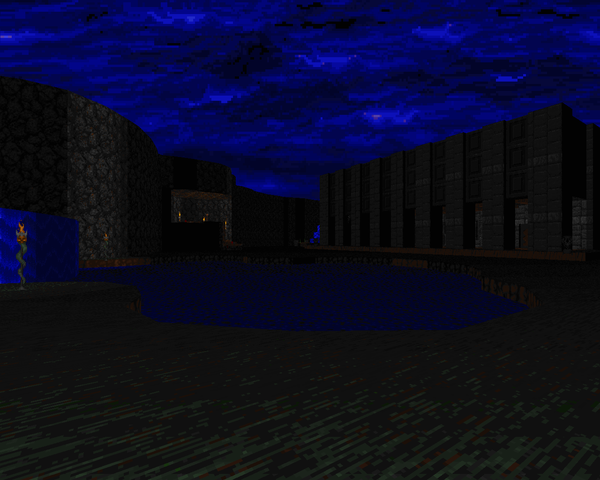 It's pretty dark and moody, kind of like the E1 Heretic maps, but lacking the relatively upbeat soundtracks. Instead, Vordakk's pulled two atmospheric pieces from Eternal Doom that help to paint an ominous portent of things to come. 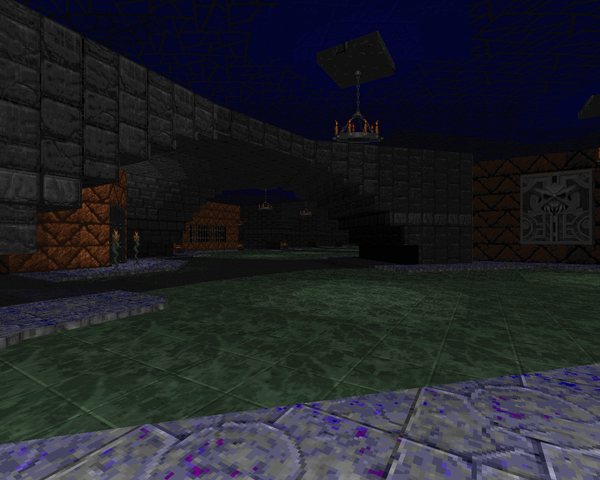 You'll see enormous castle walls and some gallows to begin with but the central circular structure dominates the level. It's one of the first things you see, and perhaps the last as well, a nice touch. Also driving home the E1 similarities is what I can only assume is an homage to the ethereal crossbow's location in E1M1. That's pretty much it, though. The rest of the map, especially the gauntlets, depart from the opening themes. Really, the gauntlets are my favorite part of the map. Each one has a texture theme and challenge that is in some way representative of its horseman. The Famine wing is desolate and fiery and has what I believe to be the cleverest puzzle, which involves at one point an infinitesimally thin player. The Pestilence wing is filled with exploding gas balls and noxious toxins which you must rise over. The gauntlet of War is flooded with blood and requires, well, that should be pretty obvious. 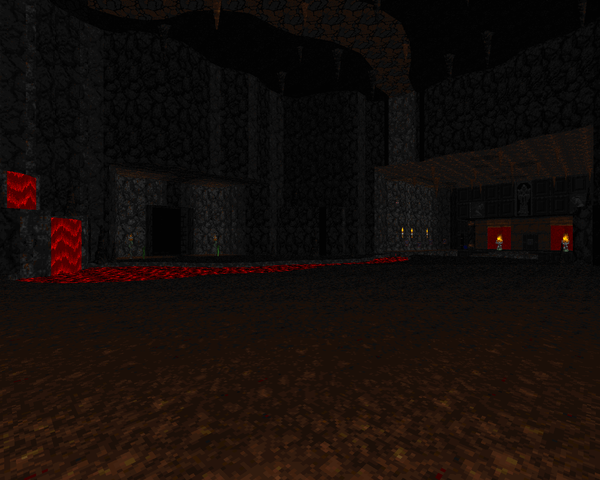 The Death wing is actually the central room in the beginning area. After you knock out the four liches you must contend with the riders themselves. Sure, four at a time might seem imposing, but if you follow the riddle to the letter you should be fine (as long as you don't get zapped). It's nice to get a good chance to dust Corvus off and gallivant around the planes. 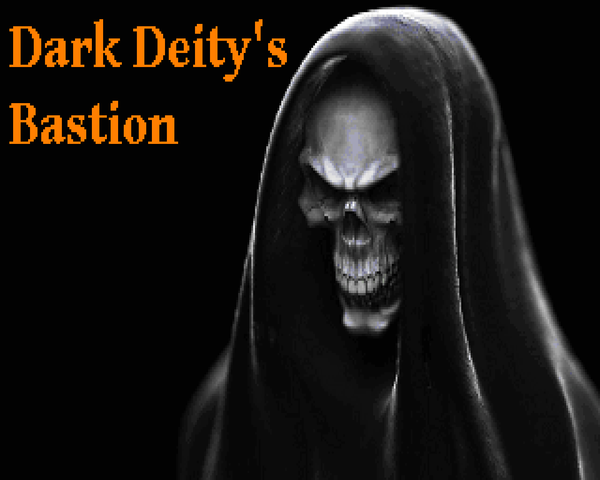 I hope Vordakk continues to make more Heretic+ maps because these have been pretty fun to play, and if Dark Deity's Bastion is any indication, he's only improving as an author. 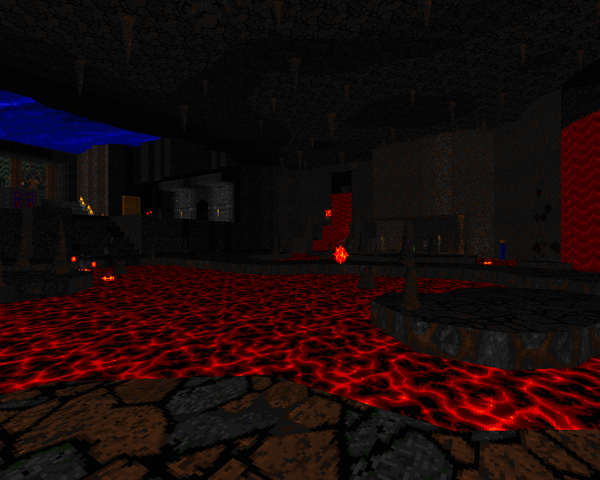 If you like Heretic, I'd give this map a play, especially if you enjoyed his Call of the Apostate. It's tough without being ridiculous and has a nice glut of memorable moments. Thanks a lot for this review! Also, your choice of screenshots was very flattering as well! Proud (although admittedly unhelpful haha) tester of an awesome map here, great job with the review!